Is your organisation currently going through change? Have you recently been through a merger / acquisition? Have you recently been through an organisational life-cycle stage move? Are you seeking new markets? Has there been a change in mandate/vision? Are the changes due to PESTEL (Political, Economic, Social, Technological, Environmental and Legal) considerations? Have any of these circumstances triggered a need for a review or update of your organisation? We invite you to participate in this very topical survey. Share your experiences and learn what other organisations are doing in this exciting space. How would participating in this survey benefit us? Current, valid survey results are an invaluable tool when making important remuneration decisions during the course of the year. Our salary data is highly confidential. Will this information be shared? 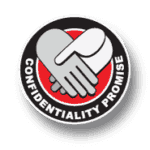 Our business rests on commitment to confidentiality of data. Thus under no circumstances would any individual information or any company-specific information be disclosed to any other participant. Our business depends on our commitment to this promise. What information can I expect to receive in the report? 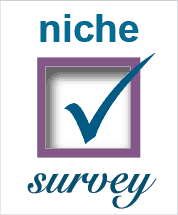 Fill in the form below and we will send you a completely secure individual link to complete the on-line survey.